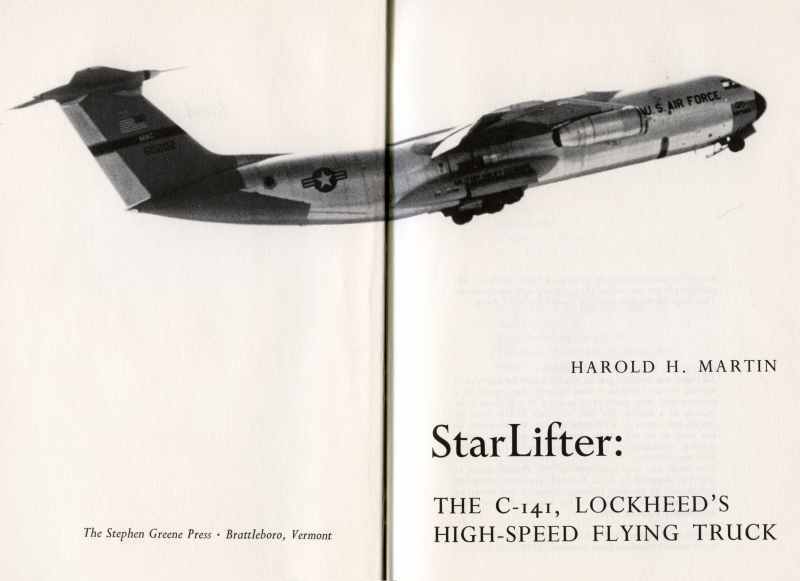 C141HEAVEN - All there is to know, and lots more, about the Lockheed C141 Starlifter! The C-141, Lockheed's High Speed Flying Truck C141HEAVEN - All there is to know, and lots more, about the Lockheed C141 Starlifter! 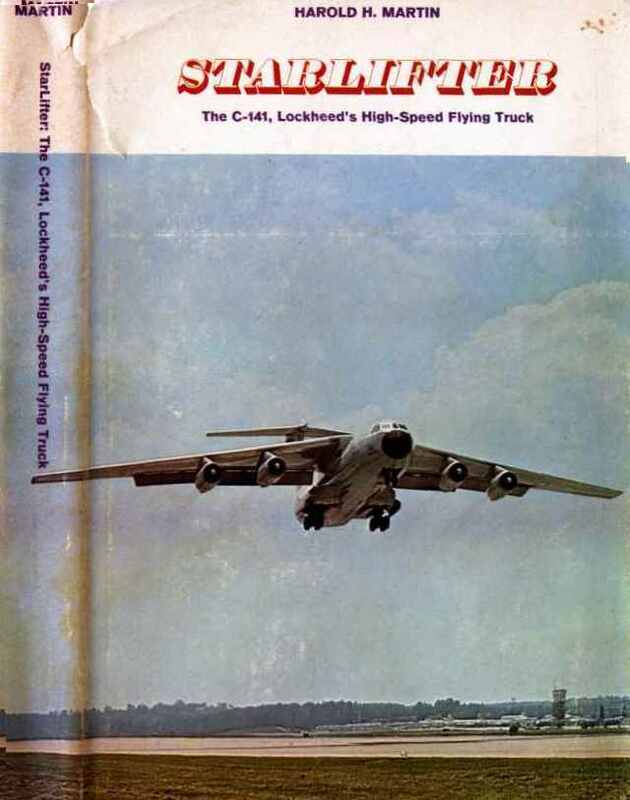 This is a copy of the RARE and out-of-print book "STARLIFTER - The C-141, Lockheed's High Speed Flying Truck". The book tells the story of the C-141 from its inception up to about 1972 when it was published. It's a good snapshot of life in MAC at that time. Barry Geier, a frequent visitor to C-141 Heaven, loaned us his copy of this book. 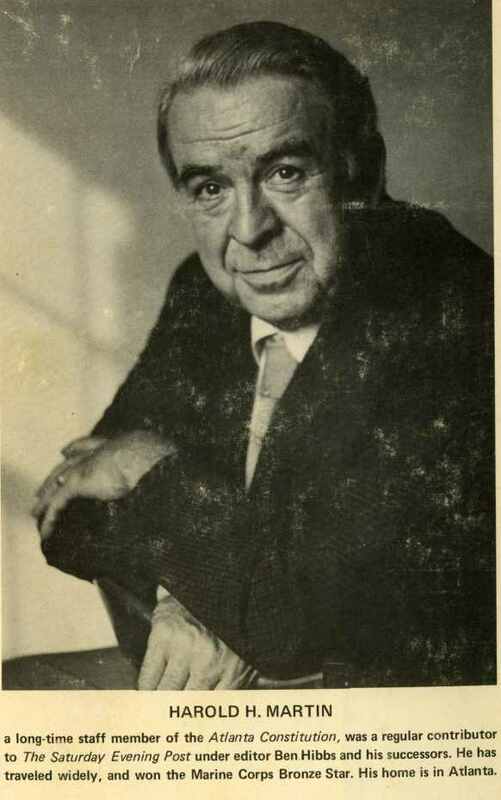 After trying fruitlessly to locate the publisher (who appears to be out of business) and the author (who may have passed away), the book has been scanned and converted to HTML and post it here for all of us C-141 nuts to share. This was a pretty massive undertaking, but the results have turned out well. If there are typos or spelling errors please blame the OCR conversion program, not the author or publisher. Any such errors will be corrected as they are found. 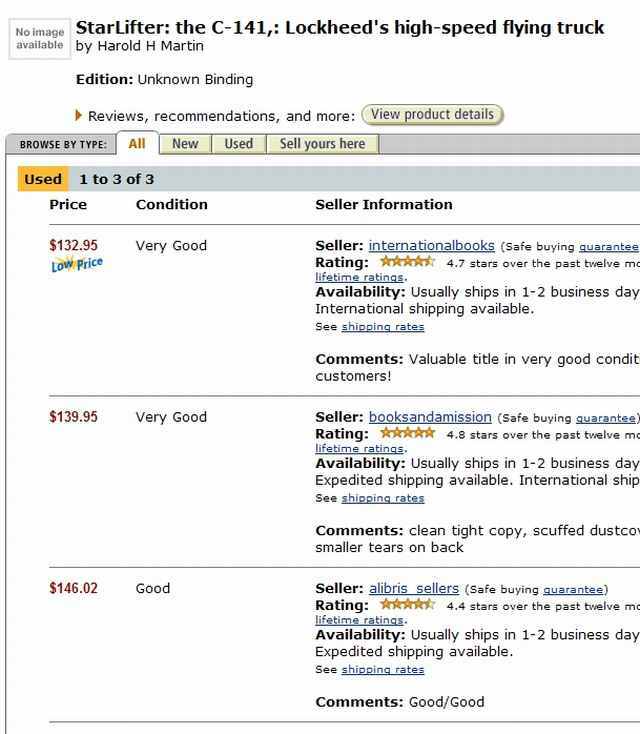 Here's the results of a search for this title on the internet: Three people were offering a copy of the book for sale. This is a VERY RARE book. Check out the picture below for the evidence!